When it comes to establishing a galactic empire, a would-be star-emperor has many tactics to choose from. Will you win over countless planets by bringing faithful colonists? Will you machine out doomsday technology which secures your conquest by unstoppable force? If your goal is to create the most powerful empire, I ask you, what tool will you reach for? What shape will your victory take? 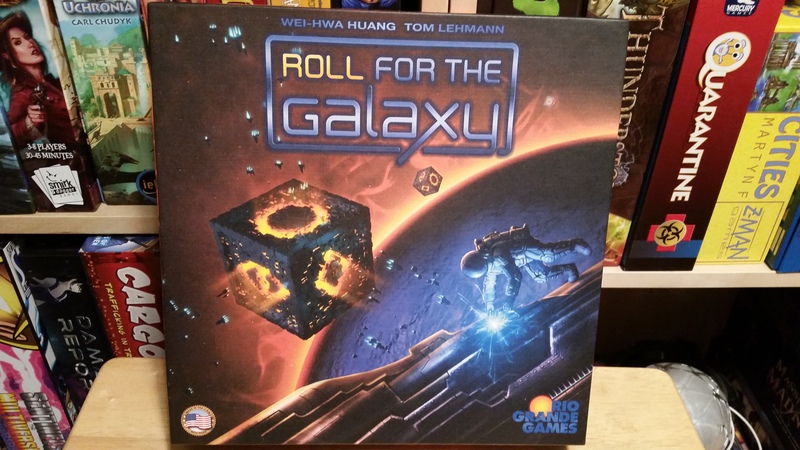 Roll for the Galaxy, by Rio Grande Games, is a 2-5 player sci-fi empire building game from the minds of Wei-Hwa Huang and Thomas Lehmann. It is also the re-imagining of Race for the Galaxy, a well-loved and well-reviewed game which we, for some reason, neither own nor have much experience playing. Race for the Galaxy is touted for its light but engaging gameplay, reasonable price point, inordinate number of icons, and interesting expansions. Roll for the Galaxy attempts to distill the essence of the original game into an even faster, lighter form through the magic of dicetization. Jess: I could be if I wanted to! Andrew: How in the hell did…you know what, no, that’s ok. I should know not to argue by now. 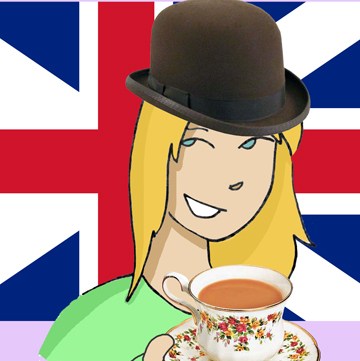 Jess: Jolly good, old chap. Carry on. …Anyway. Each player, taking a randomly-assigned starting faction and homeworld, will build an empire of planets and technologies, racing to be the first to build the highest-scoring tableau. Each of the 9 factions and homeworlds have different starting powers, making for a ton of different combinations. Your galactic empire awaits! 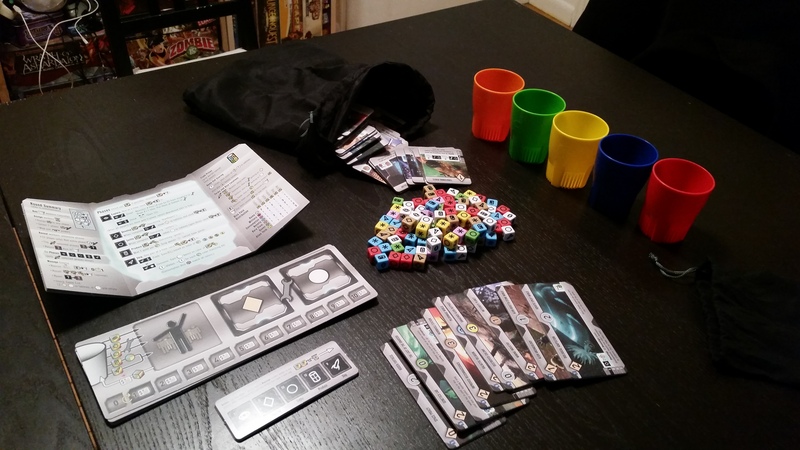 Cups for rolling, tiles for laying, player shields for…shielding…It’s all there in the box. Also, the player shield has a *ton* of instructional material – everything you need to know to take your turn is right in front of you. Tiles added to your tableau will all give some benefit. Most planets add dice to your stock or credits to your reserves, whereas most developments give you new mechanics or ways to score points. Since you draw your tiles randomly, it can sometimes be hard to build synergies, but that’s not the kind of engine-building you’ll find in Roll for the Galaxy. What you will get, for sure, is lots of dice to roll, because dice are everything. Jess: Ah, custom dice. You look at custom dice the way some people look at sports cars. Andrew: Hey, I like other things too! Jess: Oh yeah? Have you ever gone onto a board game website, searched for “The Dice Game”, and then randomly ordered things which came up? Andrew: …Man, I really need to start wiping my browser history. Each turn, players will roll their stock of dice and assign them as workers to each of the five different phases based on their facing. There are phases which let you draw tiles, gain credits, colonize planets, develop technologies, and trade goods, with each die assigned allowing you one action. However, the trick is that each player, in secret, can only choose one of the five phases to activate, and only active phases will actually be taken during the rest of the turn. Once all active phases have been resolved and the dice pools rebuilt, the titular Rolling happens once more and the game continues until someone places their 12th tile. Scores are then tallied and a winner is declared! Jess: It was a little convoluted at first. Not because of the idea of phase activation as a thing, but more because the rules use a lot of words to refer to dice, calling them something different depending on where they are placed. Andrew: Right. So a die on the Explore phase is an Explorer, but a die on the Settle phase is a Settler. That would be clear enough, except you can use any die to select a phase, and then you ignore that die’s face and it becomes a worker for that phase. And then there is the ability to spend a die of any face to re-assign another die, regardless of its face. That and a lot of other little rules made parsing through the rulebook a teensie bit annoying, at least for me. This was definitely one of those cases where we just had to dive in and start playing and piece together the rules as we went. Jess: “Learn by doing” could be our mission statement. Andrew: But what about our current mission statement? Jess: “More Dice for the Dice God” isn’t a mission statement as much as a cry for help, my love. Andrew: No, I meant ‘We love games’…Ok, look, you don’t get to use my computer anymore. 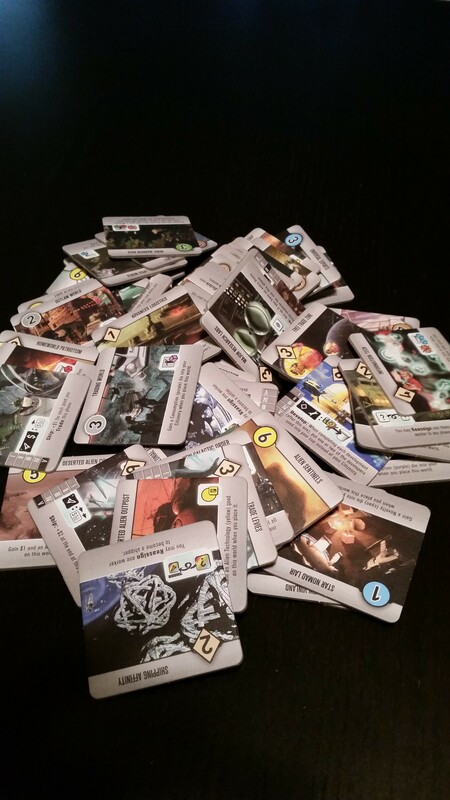 A galaxy’s worth of resources in the palm of your hand!…also, MORE DICE FOR THE DICE GOD!!! Questions of polyhedral nomenclature aside, Roll for the Galaxy isn’t complex by any stretch, and once we did start playing things fell into place very smoothly. 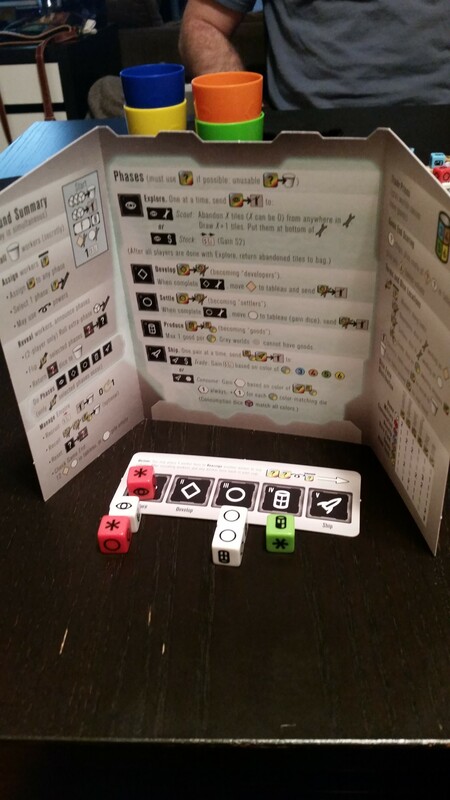 Like almost all dice adaptations of existing games, Roll for the Galaxy is designed to be quick, engaging, and exciting, based more on fast turns than lengthy ruminations. The only real strategic decision players will make most turns is figuring out which phase to activate, and the only real interaction players will have is when they try to guess what phase everyone else is going to choose, so that they can avoid wasting their phase allocation (since every phase chosen by a player gets activated for all players). Jess: That was a little weird – there is basically no interaction between players at all, aside from griping about it when we all picked the same phase to activate. Phase selection and dice assignment are the heart of the game. Andrew: Yeah, this game really is effectively solitaire. You can’t affect other players’ empires in any way, and there is really no resource-scarcity mechanic either. I mean, if you wanted to be a real jerk, you could spend your Explore phase carefully examining everyone else’s empire and then trying to take planets and developments which the others might find useful, but since you’re all drawing blind from a bag for those anyway, it’s actually a challenge to be even that aggressive. Hell, since all actions are taken simultaneously, half the time I wasn’t even keeping track of what other players were doing mid-turn. Jess: I have to say, I kinda like games like that, actually. I’m a builder and I hate it when other players come in and break my stuff. If your pile ‘o awesome is better than mine, then so be it, but don’t come knocking over my toys just because they are better than yours. Andrew: Fair point. Some people are going to get turned off by the lack of interaction, and I can see how it can be really annoying when you know someone is about to drop their 12th tile and end the game a turn before your awesome combo will hit the table and there’s absolutely nothing you can do about it. But the thing to keep in mind is that Roll for the Galaxy is still a race. Jess: They could have called it Still Race for the Galaxy But Dice This Time. Andrew: Not really as smooth, but just as accurate! 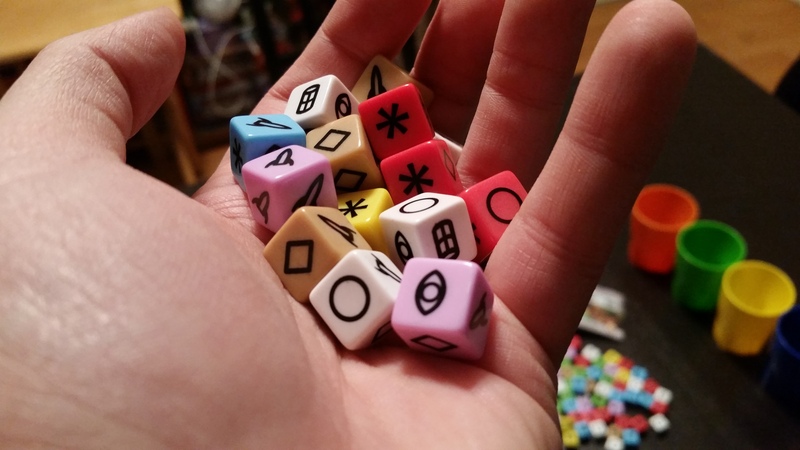 …and I have to say, these dice are pretty nice. They aren’t etched, which would have been awesome, but despite being smaller than standard, the icons are very clear and they are nice to roll. The planet/development tiles are extremely attractive, made from thick cardboard and featuring excellent artwork. The dice cups are perfectly fine and the player screens have a huge amount of info on them, in case you need to quickly reference the rules mid-game. My only real disappointment were the phase-selection and player mats, which are made of card stock rather than heavier cardboard, like the planet tiles. They wouldn’t have stood out as much had the other tiles in the game not been so excellently made. Still, not a gripe some double-sided tape won’t fix. Behind your screen, your assigned dice await the reveal of what actions will be taken this turn. In clear view of everyone is your empire and your player board, where your planets await colonization (dice) and your technologies await development (also dice). Did we mention how everything is dice? 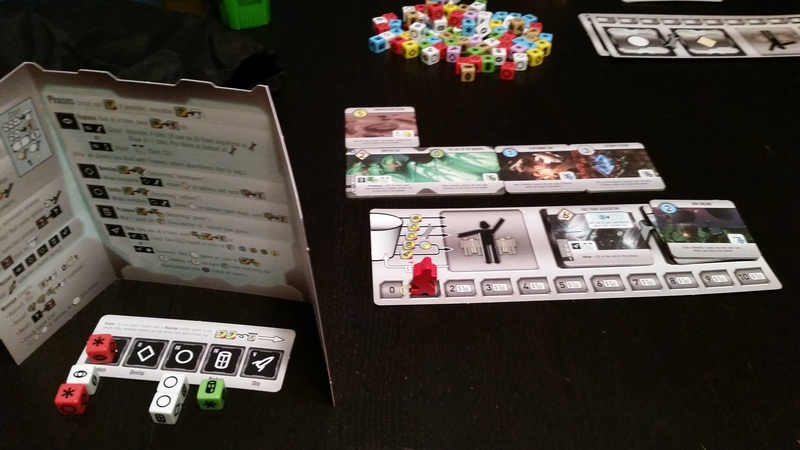 Roll For The Galaxy is uncomplicated, light fun. It’s the kind of game that newcomers will find just a little confusing, but three turns into your first game and you’ll be humming along quite nicely. It is absolutely true that it is a game that emphasizes light and fast over deep and introspective, and there is little player interaction to speak of. But for what it is, a quick-playing, dice-chucking race for points, Roll for the Galaxy is definitely a good time. Next Post:News Flash: There’s a Huge Tasty Minstrel Games Temporary Sale! Did you know? When you spell out space in an elongated manner, such as “Welding – in SPAAAACEEE!”, the “e” is no longer silent, so it becomes either “spacy’ or ‘spakky’. Interesting (to me) fact about silent vowels. As a fan of all things grammar and language-related, I find this tidbit, of which I was previously unaware, to be both interesting and useful!